Hello! 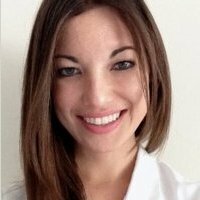 I am a Physician Assistant in Psychiatry, and I am a member of IMPOWER Florida. I graduated with honors from the University of South Florida with a Bachelor of Biomedical Science degree. I then graduated with honors from Nova Southeastern University Ft. Lauderdale with a Master of Health Science degree. Three years later, I graduated with honors from Nova Southeastern University Orlando with a Master of Medical Science degree specializing in Physician Assistant studies. I believe in IMPOWER's vision to change lives by counseling, teaching, and inspiring individuals and families to reach their full potential. I specialize in providing psychiatric clinical consultations and medical management for children and adults at Impower's Longwood office and via Breakthrough's telehealth platform. Please call IMPOWER Central Referral and Scheduling to arrange for an appointment at 321-639-1224 option 2.